As someone who proudly identifies as an appliance nerd, I'm often asked by friends and family what my favorite go-to kitchen tool is. Nine times out of 10 you'll hear me tell them that it's my trusty Nespresso machine. I've owned mine for five years and have even purchased one as a gift — that's how much I stand by the convenience and quality of this product. On a recent trip to Europe, I noticed Nespresso machines in almost every restaurant I visited, which should tell you something about how good the coffee is. 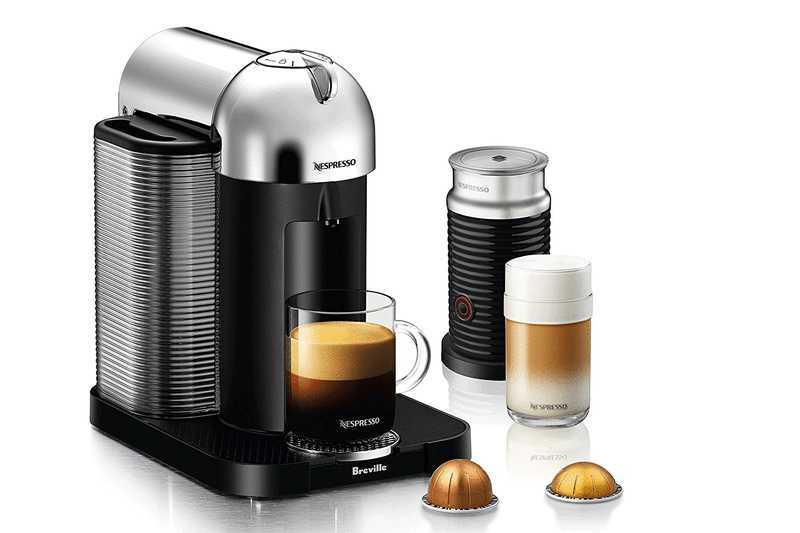 Right now you can seriously save on three of Nespresso's models on Amazon. 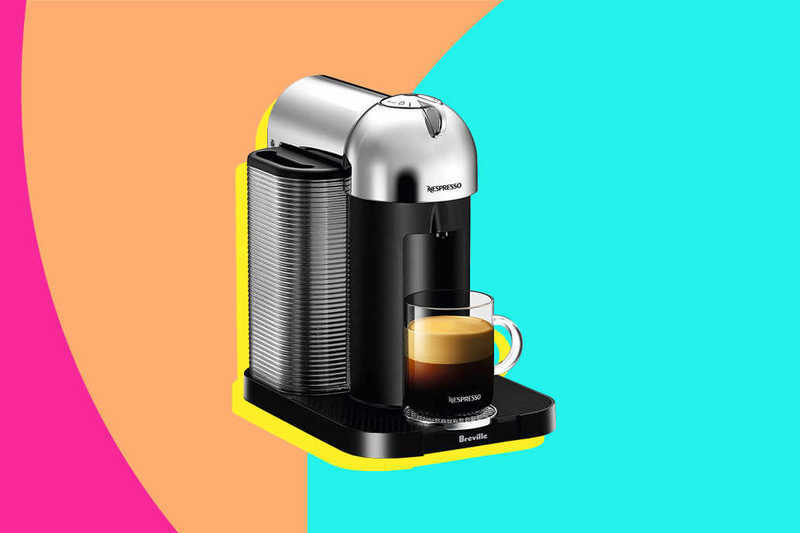 Until September 30, the Creatista line is 30 percent off, the Lattissima line is 20 percent off, and you can save $75 off any Vertuo machine. The sale is also going on at Nespresso.com, and you can find a lot more info on their different models there. I firmly believe that there's a Nespresso for everyone, so here is a quick rundown of your choices if you want to take advantage of these great discounts. The name says it all — the Creatista line lets you create professional latte art at home. Normally $600, the Creatista Plus is on sale this week for $420. With a professional steam wand that uses advanced milk texturing technology and a stainless steel milk jug, you'll be making barista-quality designs in no time. If the thought of that intimidates you, don't worry — the Creatista has an intuitive display screen to guide you through the settings you'll need to wow your guests (or just yourself). Do you like your coffee extra milky or frothy? The Lattisima was created with you in mind. Normally $380, pick up the Black or Warm Slate for only $304, and save even more on the Silky White for $285. 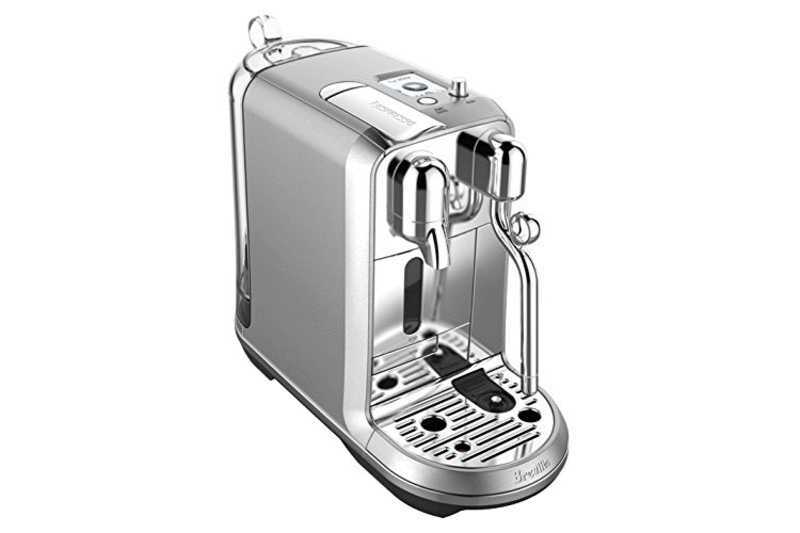 With a built-in milk tank and frother, you'll be able to whip up cappuccinos and macchiatos conveniently at home. If you're a non-dairy milk drinker, try making a soy latte with the frother and thank me later! If you're looking for versatility, the Vertuo line is your best bet. The stand-alone Vertuo is marked down to $125, but sadly sold out on Amazon. 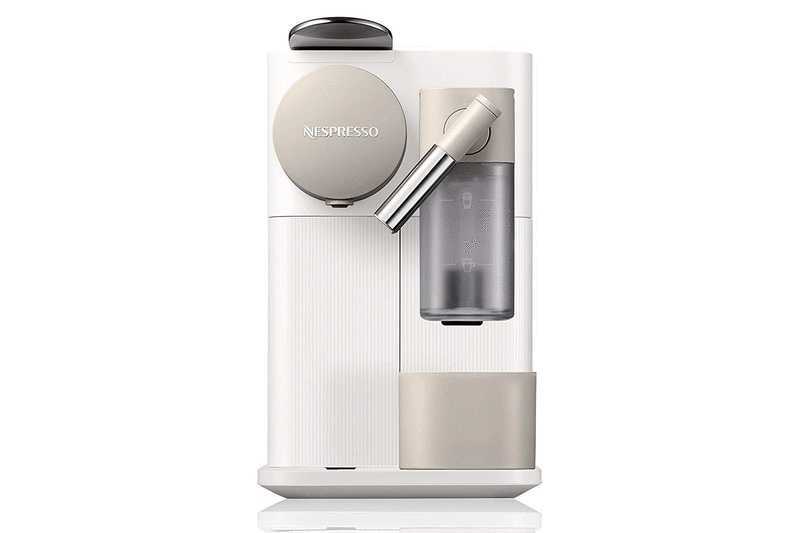 You can still pick it up on Nespresso's website, as well as other authorized retailers. The bundled Vertuo deal with a milk frother for the same $75 off deal, however, is still in stock on Amazon. Able to brew five different volumes, the machine will read which size pod you insert and brew it to that style. Choose between a 1.35-ounce espresso, 2.7-ounce double espresso, 5-ounce Gran Lungo, 8-ounce coffee, or 14-ounce Alto. If you're not ready to ditch your coffee machine for an espresso machine, the Vertuo does both, and then some.